Mancini's time at City looks to be edging closer to an end with Brian Kidd is poised to take charge of the side for the remaining two games of the season. The Italian, who won the Barclays Premier League title a year ago today, knows his time is up at the Etihad Stadium after the club decided to replace him with Malaga coach Manuel Pellegrini - but the Chilean has confirmed nothing has been signed yet. 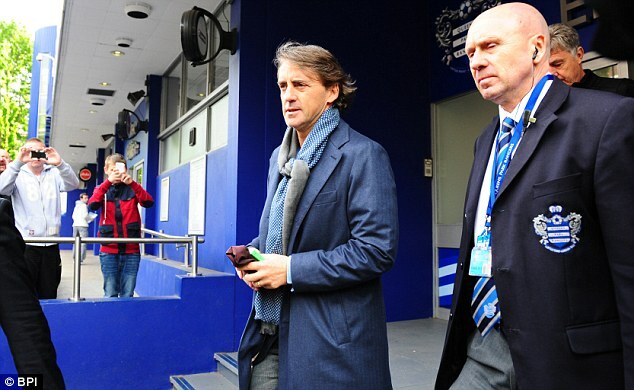 The former Inter Milan manager left City's London hotel - dressed in the same clothes he was seen wearing last night - to take training at QPR's Loftus Road ahead of Tuesday's game with Reading, but he could be sacked before the game with assistant manager Kidd lined up to take charge in his absence. City stayed in London after the FA Cup final ahead of Tuesday's game with Reading - it also meant they missed out on their city rivals Manchester United celebrating winning the title and partying in Manchester on Sunday night. Mancini is angry with the way the business has been handled since reports of a deal with Pellegrini leaked in Spain on Friday night. Mancini cannot understand why no-one from the club has told him his time is up. He had dinner with his coaching staff on Sunday night, having stayed in the south after Saturday’s dismal defeat by Wigan. It is understood that Mancini would have been sacked even if Manchester City had won at Wembley after a deal was struck with 59-year-old Pellegrini. He will now be officially told once everything has been rubber-stamped with City chairman Khaldoon Al Mubarak and owner Sheik Mansour. With City due in America to play two exhibition games against Chelsea next week, Kidd and maybe even football ambassador Patrick Vieira could lead the squad. 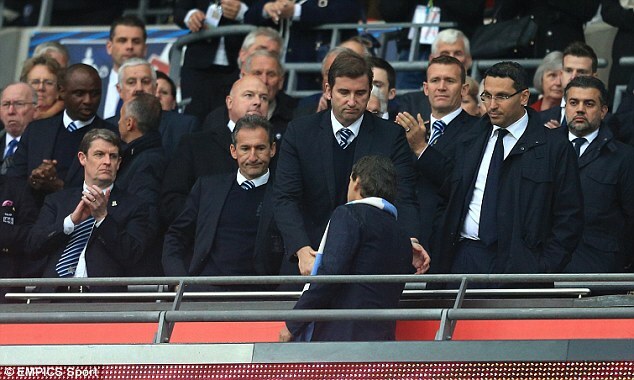 City fans made their feelings known by singing Mancini’s name during Saturday’s final. It was not just City’s relatively disappointing league season that left chief executive Ferran Soriano and sporting director Txiki Begiristain convinced they needed a change. 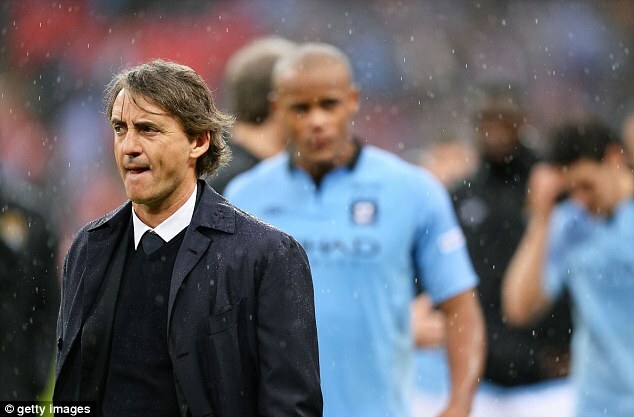 The pair — who weren’t at the club when Mancini led City to Premier League glory a year ago today — have been alarmed by the Italian's deteriorating relationship with players and staff at all levels. He has spent much of this campaign arguing privately and publicly with Joe Hart, Vincent Kompany and Samir Nasri. Mancini was even photographed grappling with Mario Balotelli on the training ground in the weeks before the striker was sold to AC Milan. The City manager has also argued behind the scenes with executive staff. His habit of complaining in press conferences that the board let him down on transfers last summer has also ruffled feathers. 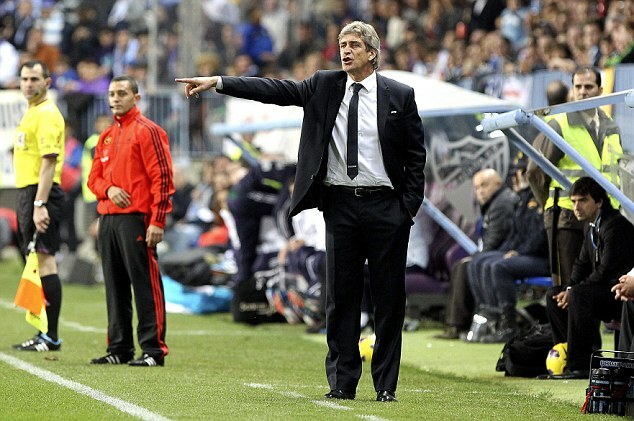 Mancini, for his part, has always been oblivious to how his behaviour away from the field was leading him into troubled waters. Late on Saturday at Wembley, he was still complaining that he was not being treated well. Monaco, newly promoted to the top flight in France, have big money to spend and are already closing in on striker Rademel Falcao. The former Lique 1 champion's salary for the Atletico Madrid forward, who isa long-term target for Chelsea, is £8.5m a year which is not part of his transfer trigger clause of over £50m.